Start a White Dove Release Business- Free Report! 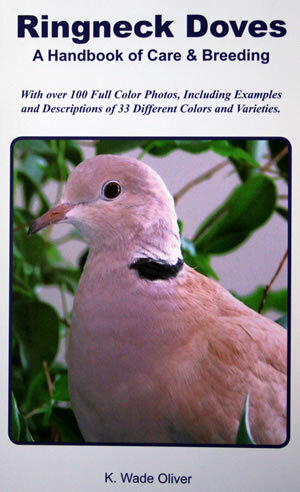 "Ringneck Doves: A Handbook of Care & Feeding," a book by K. Wade Oliver. With over 100 full-color photos, including examples and descriptions of 33 different colors and varieties. This is a wonderful book with illustrations on how to care for Ringneck doves. Highly recommended! "For All Your Professional White Dove Release Needs"
We process the same day and ship just as soon as the young birds are ready to go. White Homers available for purchase? Release Doves for Sale ~ Buy White Doves Here ~ Dove Business Consultations ~ Trends in the White Dove Release Business ~ Start your White Dove Release Business Now! "We are a service-connected veteran-owned business"
© White Pigeon Sales - All Rights Reserved.